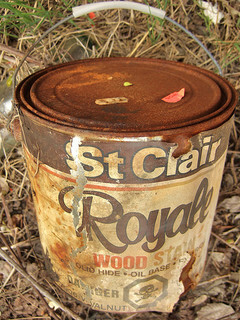 Wetlands contain valuable and delicate ecosystems that must be preserved. 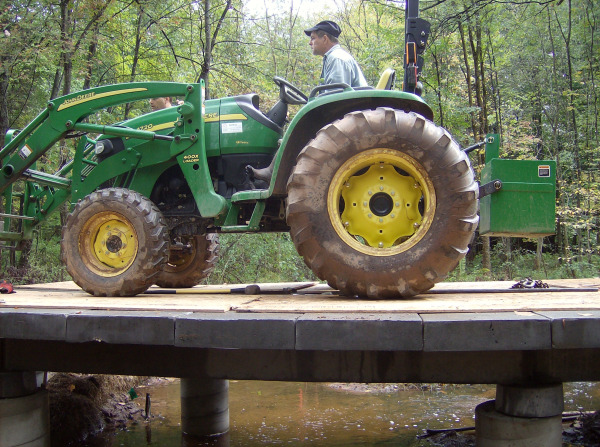 Any boardwalk or pedestrian bridge built over a wetland must leave a minimal impact on the environment, no matter which material is specified. 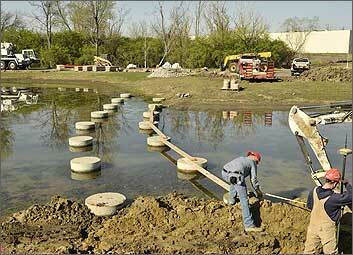 If possible, using top-down construction in a wetland area can have several benefits, numbered 1-3 below. You'll also find a pros and cons list comparing different boardwalk decking materials that can be used in a wetland area. Keep in mind, these bullet points are geared towards commercial boardwalk or pedestrian bridge projects through wetland areas, not residential applications. 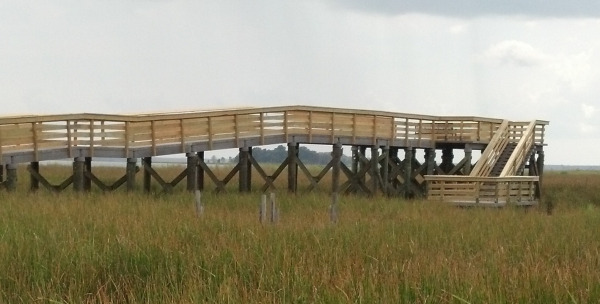 PermaTrak offers a cost-effective, maintenance free solution to designing and constructing boardwalks in wetland areas, with a low-impact on the surrounding environment. Below is a simple graphic to explain the benefits of designing and specifying a concrete boardwalk through sensitive wetland areas. May, 2011. Picture taking your children to a neighborhood park with the whole package in tow: bikes, picnic lunches, possibly the family dog, and that nifty new camera that desperately needs to be broken in. Here’s a would-you-rather (one of our favorite ways to kick-start an article): would you rather walk around the edges of the ponds and wetland areas with a viewing platform to look over the water? Or would you like to be surrounded by water as you stroll over a boardwalk through wetlands? 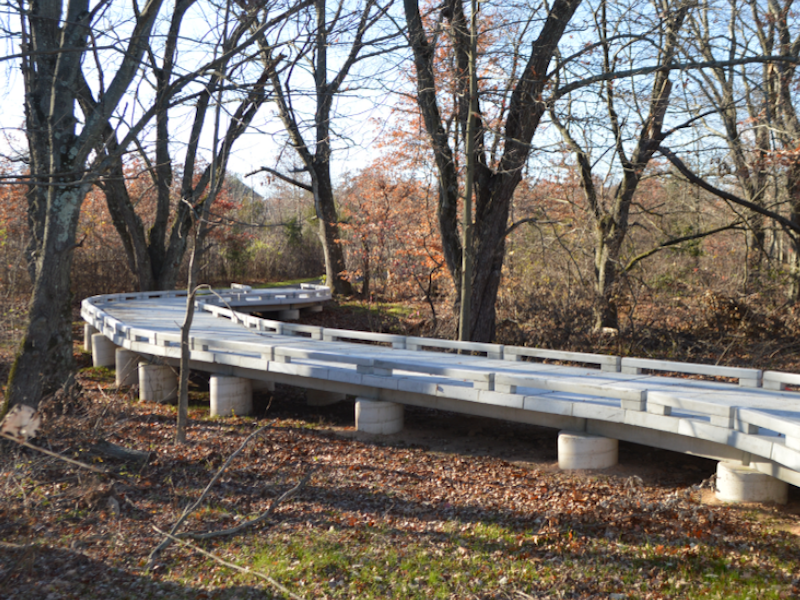 Woolpert Inc. and West Chester Township’s recent decision to request an additional section of PermaTrak boardwalk would enable you to do both! 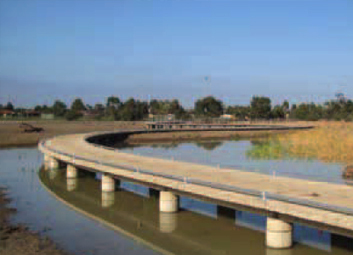 The Rocla PermaTrak concrete boardwalk system provided a cost-effective solution for Wyndham Council when it replaced a timber boardwalk at Heathdale Glen Orden Wetlands in Werribee, Victoria. First priority for the council was a boardwalk that was highly resistant to vandalism. The two previous boardwalks in the wetlands were subject to extensive fire damage, as well as water damage, resulting in the removal of one of the boardwalks. 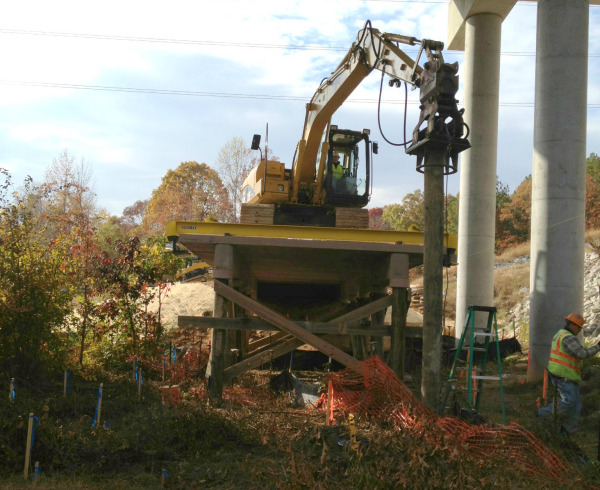 Another problem was reactive clay soils that had pushed the timber footings out of the ground, making the existing boardwalk uneven and hazardous for users. A third major criterion was aesthetic. The old timber boardwalk was made up of linear sections which zigzagged across the wetlands.